Screenplay: Terry Gilliam, Charles McKeown. Starring: Christopher Plummer, Heath Ledger, Tom Waits, Johnny Depp, Colin Farrell, Jude Law, Andrew Garfield, Verne Troyer, Lily Cole, Johnny Harris, Poloma Faith, Peter Stormare. 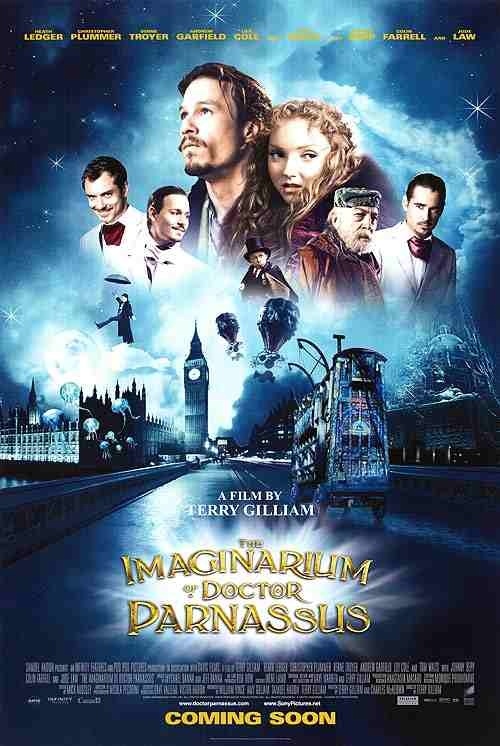 Should really be called “The Imaginarium of Terry Gilliam”. The director once again takes us on a weird and wonderful journey. His films are always fantastical and this is no exception. Although, you really have to be a Gilliam fan to take the most from it. A modern day traveling circus act, run by Dr. Parnassus (Christopher Plummer) offers people the chance to see into their own psyche by entering through a magical mirror and what they get from it is entirely who they are themselves. On passing from city to city, Parnassus and his crew of entertainers happen upon a mysterious young man (Heath Ledger) who claims he doesn’t know who he is and joins their crew. It turns out he is harbouring a secret but Parnassus has secrets of his own – he has made a deal with the devil (Tom Waits) and the time is looming to pay that debt. 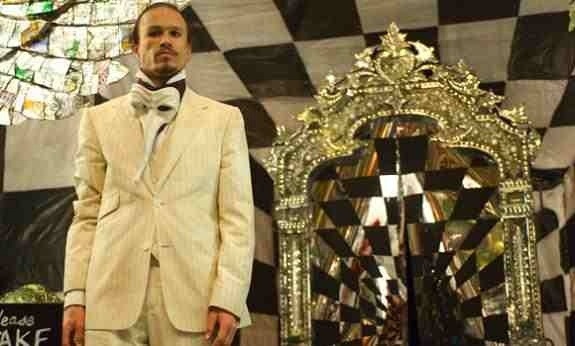 Like all Terry Gilliam films, it has to be seen to be understood and even then, it’s a bit of a brain teaser. Rest assured though, this is an absolute visual treat with some fine performances. Most notably from Plummer as the now downtrodden Doctor, regretting his colourful past and Tom Waits as Mr. Nick, the toothbrush mustachioed Devil, appearing throughout, when least expected to propose further wagers. This was Heath Ledger’s last film as he died during the making of it. Enforced changes to the script were then required to finish filming. Johnny Depp, Jude Law and Colin Farrell were brought in to play different aspects to Ledger’s character and although enforced, the scenes with these three actors are actually the most inventive and strongest parts of the film. Classic Gilliam and his fans will certainly enjoy this, but it’s not his finest moment. This entry was posted on January 24, 2012 at 2:54 pm and is filed under Adventure, Fantasy, Mystery with tags 2009. You can follow any responses to this entry through the RSS 2.0 feed. You can leave a response, or trackback from your own site.